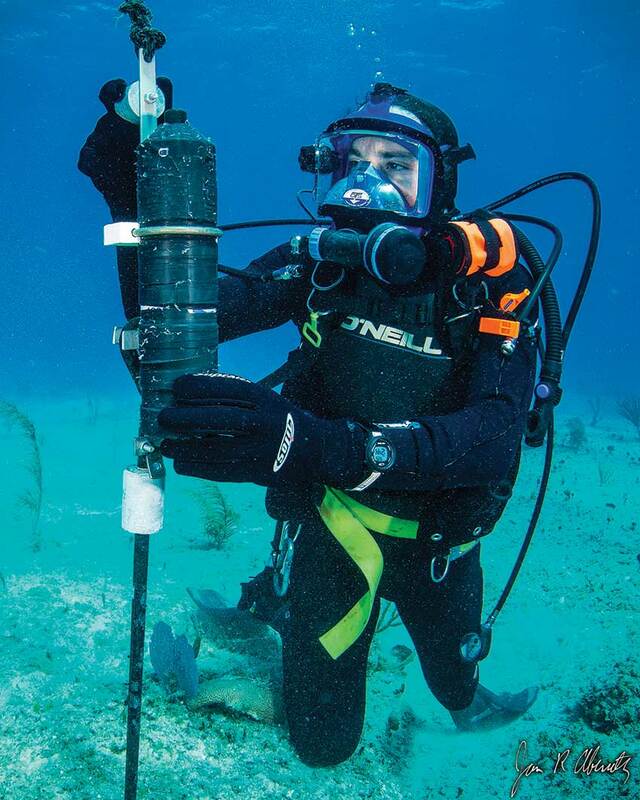 With outstanding programs in marine biology, two University of Miami campuses have become focal points for environmental studies. From its humble beginnings in 1925, the University of Miami’s Coral Gables campus has weathered many storms, both natural and manmade, and has come out on the other side as a major institution for higher learning. Respected for its exceptional staff of educators, the accomplishments of its student body and its Division One athletic program among many other notable accomplishments, Miami has set a course in both academia as well as having a broad view of the world. 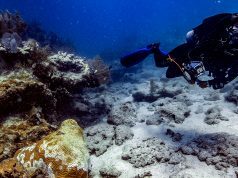 The “U”, as it’s affectionately known, can boast of yet another achievement: its undergraduate Marine Biology curriculum and its advanced degree syllabus at the Rosenstiel School of Marine and Atmospheric Science (RSMAS) located on nearby Virginia Key. 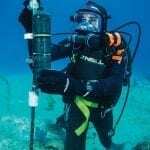 Known globally for its outstanding scientific studies, Rosenstiel is committed to being the steward of the health and wellbeing of Florida’s waters—whether ocean, Gulf, rivers, or lakes—and its wildlife, both marine and terrestrial, including coral reefs, mangrove areas, and the environment. Rosenstiel also contributes to the global initiatives, study, and efforts to solve our planet’s environmental ills. “Since I became dean of the school, we have worked quite energetically to improve our infrastructure and to implement transformative changes,” says Dr. Roni Avissar, Ph.D. and RSMAS Dean. 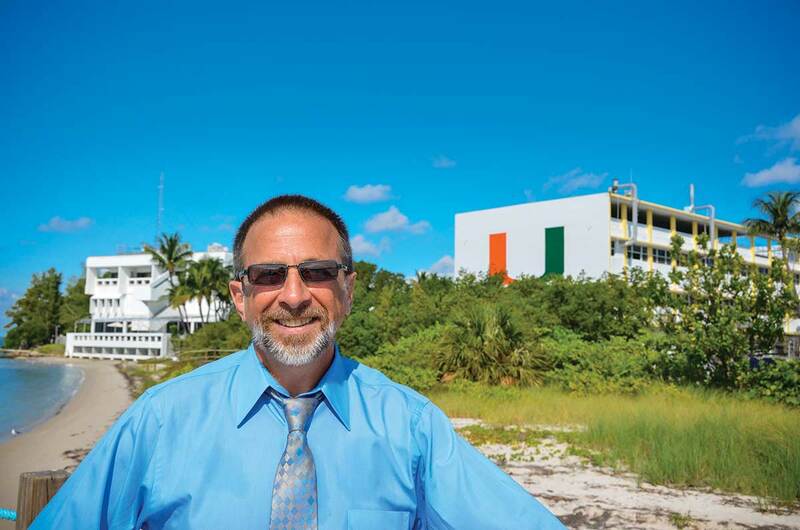 “This to poise the school as a leader in research, education, and services to the community, as an integral part of the University of Miami, which is to be the next great American research university.” To that end, Dean Avissar’s vision has already become a reality. One merely has to look at Dr. Emily Shuckburgh, a past recipient of the Rosenstiel Award for her Open Oceans study with the British Antarctic Survey in understanding the role polar seas play in the global climate system. 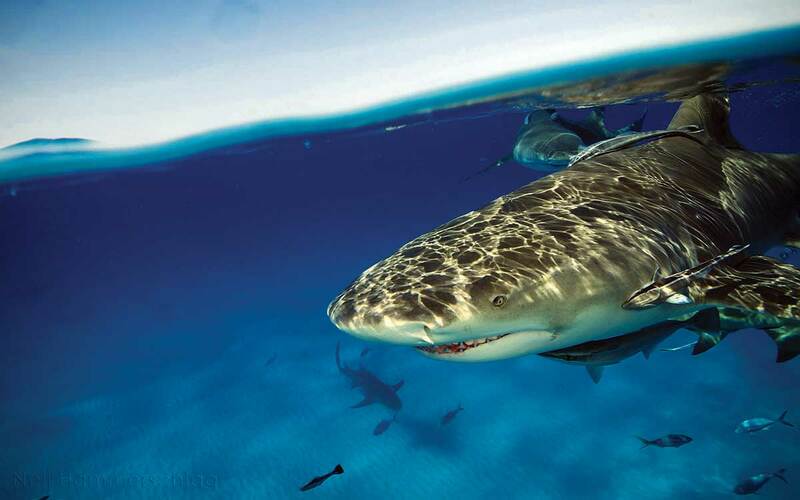 Then there’s marine ecologist and Research Assistant Professor of Ecosystem Science & Policy, Dr. Neil Hammerschlag, who also serves as the director of the University’s world-renowned Shark Research & Conversation Program. 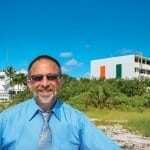 Given its strategic location on Biscayne Bay, RSMAS now presents its latest acquisition, the Hurricane Lab. 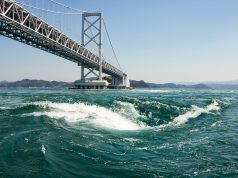 The new building houses the largest wind wave facility in the world and is capable of generating a Category 5 storm in its 75-foot, 40,000-gallon seawater tank. 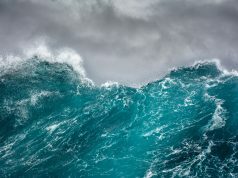 Overseen by Dr. Brian Haus, the respected director of the school’s Department of Ocean Sciences, the facility studies potentially catastrophic effects such as storm surge and why some hurricanes cause calamitous damage while others huff and puff themselves to death when coming ashore. 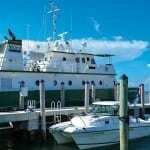 Docked outside the Virginia Key campus is the 96-foot R/V F. G. Walton Smith. 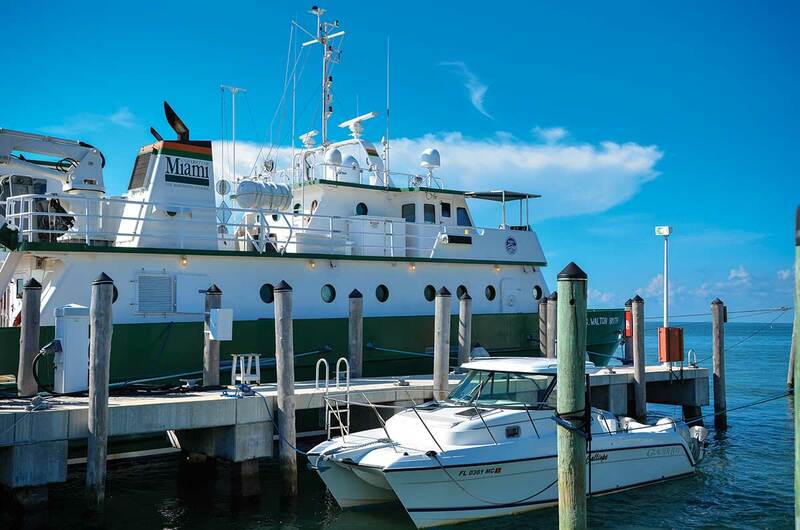 Named after the school’s founder, the vessel is a state-of-the-art power catamaran packed with 800 square feet of laboratory space, a nitrox dive center and accommodations for 20 people. She is also equipped with dynamic positioning for exact station keeping, a transducer suite for measuring ocean currents, a dedicated space between the hulls for drilling and coring operations, and a notched stern area for maneuvering equipment into place. To that end, when the environmental disaster caused by the Deepwater Horizon oil well blowout occurred, the Smith participated in aftermath operations. While she had an inspiring study abroad semester at James Cook University in Queensland, Australia, her most fulfilling experience through RSMAS was a yearlong internship at Dr. Baker’s Coral Conservation Laboratory. “I learned field work and genetic techniques to analyze coral larvae and their susceptibility to nutrient and climate change.” Since graduating, Zoe has been involved with conservation organizations in the Gulf of Mexico and Philippines. Her current endeavors involve attaining her PADI Divemaster and volunteering with the Hawaiian Marine Mammal Alliance while applying to graduate school. Samantha Kreisler recalls her fascination with living things, especially those ocean dwellers and ecosystems she was exposed to at a very early age. “After spending a semester abroad at the Cape Eleuthera Island School in The Bahamas during my sophomore year in high school, where I received my open ocean diver’s certification and studied the local coral reefs, as well as the effects of non-endemic species such as lionfish, it was a natural progression to make Miami and RSMAS the place at which to launch my career.” She studied Marine Affairs and Policy and continued on to a Masters of Professional Science in Coastal Zone Management. “Besides having incredible and prestigious professors, I was given many opportunities to take classes abroad such as water resources and policy in Hanoi, Vietnam, and Kunming, China, where I was exposed to knowledge that not only allowed me to gain specific information about overseas hydrological systems, but also provided me with new insights into national-based policy.” Samantha currently works at the nonprofit Clean Water Action, whose efforts to protect New Jersey’s environment and public health is done through lobbying and legislation. “I know I can make a difference,” she says. The University of Miami’s programs in this endeavor are the kind that sends its students out into the world prepared to take on the big problems and solve them one at a time. It’s what the world needs.